Welcome to Episode 87 of The Alzheimer’s Podcast, where we’re all about bringing The Good Stuff (that’s respect, kindness, love, empathy, and compassion) for people living with dementia, their families, and the professionals who support them. I’m Christy Turner, AKA The Dementia Sherpa. I’ve enjoyed the privilege of working with over 1,500 people living with dementia and their families so far, including multiple experiences in my own family. 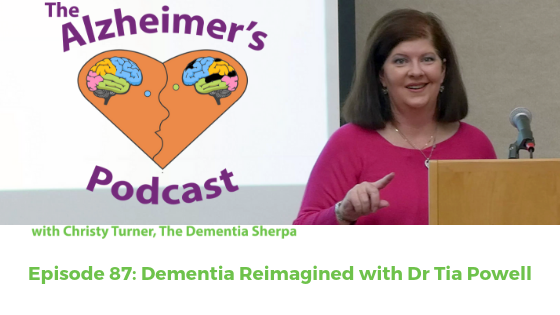 In this episode of Navigating Rough Terrain with the Dementia Sherpa, I speak with Dr Tia Powell, author of the new book, Dementia Reimagined: Building a Life of Joy and Dignity from Beginning to End. The book is out today, Tuesday, April 2nd, 2019, and I highly recommend it, to families and professionals alike. This book is worth your valuable time. Before we dive in, I’m going to give you a little behind-the-scenes for context. For long-time listeners, clients, colleagues who’ve known me for years, this won’t be a surprise: I was really skeptical about having Dr Powell on The Alzheimer’s Podcast, because she’s a psychiatrist. As a dementia-focused professional, I’ve learned to fear psychiatrists as people who put those with dementia on unnecessary, potentially life-threatening medications. I’ve spent a lot of time pointing out dementia isn’t a mental illness. I say it isn’t the same as schizophrenia or bipolar disorder, and the drugs used to treat those conditions, while a godsend for folks with those diagnoses, aren’t appropriate for people living with dementia. And I don’t say that because I’m a doctor, or prescriber of any sort, which I’m not. 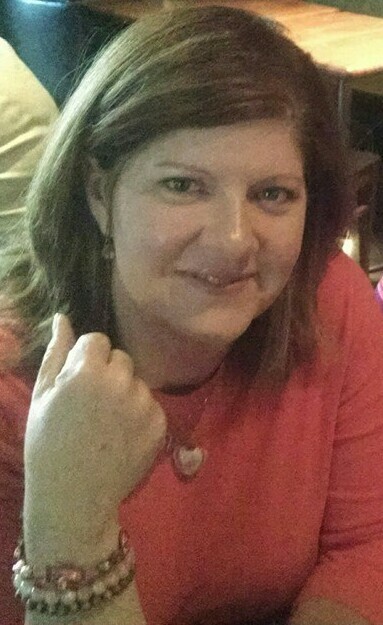 I say it as someone who has years of professional experience working with people living with dementia and knows there are far more effective non-pharmaceutical interventions for so-called behaviors, and as someone who can read an FDA black box warning stating those medications shouldn’t be used in people living with dementia. But back to Dr Powell. The publisher gave me an advance copy of the book so I could determine if she’d be a good fit for the show. I was actually enjoying the book quite a bit, when I hit on a part that made me think, Yep, here we go! She takes issue with statements regarding Alzheimer’s disease not being a mental illness. So I asked her about that in our chat, and ended up thinking she’s got the right idea. In fact, I’ll be changing how I talk about this in the future, thanks to Dr Powell. Dr Powell and I also talk about the history of treatment (for people with mental illness and the people living with dementia who were lumped in with them), and how horrific it’s been. The book goes into more detail on this, and it’s fascinating.